VATICAN CITY (CNS) — The church “is the house of Jesus,” and Christians must welcome everyone, even bringing those who are unable to make their way on their own, said Pope Francis at morning Mass March 17. People who are sad or “sick in their soul” or who have “made many mistakes in their lives” may, at a certain point, feel the Holy Spirit inspire them to go to church, the pope said. But, after mustering up the courage to go, they will often find unwelcoming and judgmental Christian communities with their “doors closed” to them. In this way, “that which the Holy Spirit does in people’s hearts, Christians — with a psychology of doctors of the law — then destroy,” the pope said at the Mass in the Domus Sanctae Marthae. “Who are you to close the door of your heart to a man, to a woman who has the will to improve, to re-enter the people of God because the Holy Spirit stirred their heart?” he said. Pope Francis went on to say that such incidents are disappointing for him and he insisted that the church must have its doors always open. And when God reproaches his people, calling for mercy and not sacrifice, the pope continued, this is what he means. 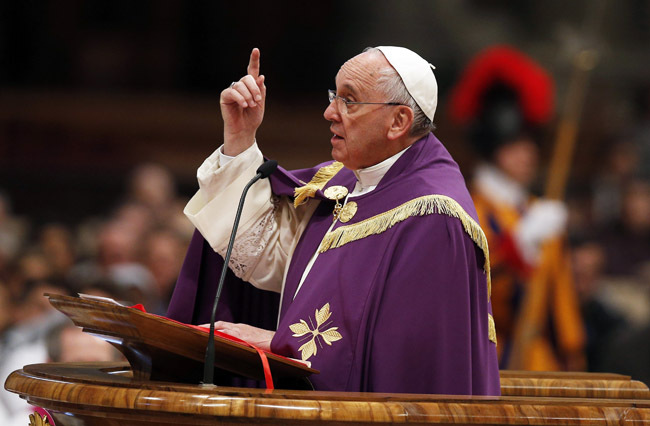 The pope added that Lent is the time to avoid making the same mistake as those who bear contempt against Jesus’ love for the paralytic because, having healed him on the Sabbath, it may seem contrary to the law. He concluded with a prayer for the conversion of the whole church to the mercy of Jesus. “And this way the law will be fully accomplished because the law is to love God and neighbor as ourselves,” he said.